If you need to borrow some money to help your business, then there are a wide variety of loans available. However, not all options will be appealing given payment terms, interest rates and/or credit requirements. Therefore a merchant cash advance service might be the right solution for you. This service offers a flexible solution where the repayments are based on a percentage of the amount of money you take through your card machine. There are few companies providing this service which we have examined below. The table below gives a quick price comparison of the top UK merchant cash advance providers. Some of the features and benefits of 365 Business Finance’s merchant cash advance. 365 Business Finance offers a range of business finance products including loans and merchant cash advanced services. Their merchant cash advance service offers businesses access to funding of £5,000 to £200,000 with repayments that are manageable. Their service is provided as an alternative to bank loans and is designed for small businesses. 365 Business Finance’s merchant cash advance loan amount is based on the amount of income you make from credit and debit cards and the repayments are linked to this amount as well. They have a short application process and you can receive the funds within a few days. Some of the features and benefits of Boost Capital’s merchant cash advance. Boost Capital is a small business loan provider which includes a merchant cash advance service where businesses can access a loan facility that is flexible with repayments that are based on your takings. They have a simple application process with the outcome given within 24 hours and you can receive funds within a day. To be eligible for Boost Capital’s merchant cash advance service you need to have been trading for at least nine months with a monthly turnover of over £6,000. As the repayments are based on a percentage of your business’ card payments you must accept card payments that exceed £3,000 per month. Some of the features and benefits of Capify’s merchant cash advance. Capify’s merchant cash advance service is an ideal solution for businesses that want to grow but need additional funding. They offer these loans on amounts over £3,500 and the repayments are variable based on the income you make on a daily basis through your card machine. They take an agreed percentage which means on quieter days you will pay less, making it an affordable solution. Capify offers its merchant cash advance services to businesses that are based in the UK and take a minimum of £3,500 in monthly card payments. 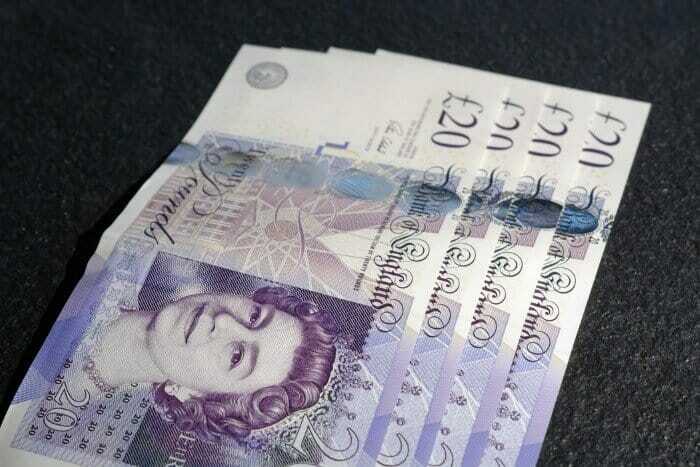 This is available to sole traders, partnerships and limited companies that have been trading for at least six months. Some of the features and benefits of Liberis’ merchant cash advance. Liberis is a specialist merchant cash advance service provider who offers loans of £2,500 to £300,000. Their loans are flexible and affordable as the repayments are based on the amount of income you get from your card takings each day. They will agree a fixed percentage with you when they make their loan offer. Liberis offers their merchant cash advance service to businesses that have been operating for at least four months and with a minimum monthly card transaction amount of £2,500. Their loan application is quick and easy with a decision in principle straight away and a final response within 24 hours. Some of the features and benefits of Merchant Money’s merchant cash advance. Merchant Money offers a range of business loan products which includes a merchant cash advance service. They provide loans of between £5,000 and £500,000 on a pre-agreed fixed percentage rate on all card transactions. This makes the loan flexible in the repayment amounts to match your takings and they are automated. Merchant Money offers these loans to businesses that have been trading for at least six years and have a minimum monthly turnover of £5,000 through their card terminals. Businesses must not have any other cash advance services in place unless the loan is being used to refinance it. Some of the features and benefits of Nucleus’s merchant cash advance. Nucleus offers a large range of business funding solutions including loans like business cash advance which is the same as merchant cash advance service. They will set up an agreed percentage for repayments that will be based on your card takings and not on a fixed payment term as you pay as you earn the money. Nucleus provides business cash advance services to businesses that take card payments, have been trading for more than four months and are registered in England and Wales. They have a simple application process with a decision being made the same day on applications. Some of the features and benefits of Quick Capital’s merchant cash advance. Quick Capital is a business finance provider who offers business cash advance service also known as merchant cash advance. They provide funding to small businesses of £500 to £300,000 based on their monthly card takings. They will typically loan businesses the equivalent of a months’ card earnings. Repayments will also be based on these card earnings as a fixed percentage rate. Quick Capital has a simple application form and they will give you a decision within 72 hours of receiving your application. They are upfront with their rates and there are no hidden fees or fixed repayments.